As regular readers know, we're big fans of consumer-centric health insurance (e.g. HSA's). These kinds of plans have demonstrated a unique ability to actually impact the cost of health care. It's a shame, then, that one of the results of current "reform" efforts will be to eliminate them from the marketplace. The withdrawal won't be immediate, but gradual, through attrition. "[I]f you pay for any of these items with money in your flexible spending account (FSA) or health savings account (HSA) ... you will face an effective tax increase of up to 40 percent on these items in the health care bill..."
The current "reform" legislation removes non-prescription medications from the "approved" list for plans subject to 213d requirements. This has the immediate effect of increasing their net cost, and thus discouraging their use. It's hard to reconcile that result with the purported goal of reining in the cost of health care. Indeed, it's obviously going to have the opposite effect. But it's merely the first step in excising the one piece of Kennedy-Kassebaum that has continued to irritate the nanny-staters: tax-qualified health savings accounts. Once the "Exchanges" are up and running, the underlying high deductible products that drive HSA will be outlawed; FSA's will continue, since they encourage spending, which is apparently the (counter-intuitive) goal of ObamaCare. Jaan Sidorov presents the last Cavalcade of Risk (for this decade). Remarkably, this also marks the 2 year anniversary of Jaan's outstanding Disease Management Care Blog. Mazel Tov, Jaan, and keep on posting! We're scheduling for early 2010 - please drop us a line if you'd like to host. Earlier this year, my better half's mammogram showed an irregularity. Because we've been spared, thus far, from having to live under ObamaCare, she's had relatively easy access to this critical care, and was quickly referred to a specialist who determined that all was fine. Of course, we were greatly relieved to learn that there was no problem, after all, but how would that have played out under ObamaCare? "Women are still waiting months to find out whether they have breast cancer, the Government figure in charge of tackling the disease admitted ... any woman with signs of breast cancer would be seen by a specialist within two weeks by 2008. The deadline was later extended to the end of 2009 but the cancer czar has admitted the NHS will still fail to hit the target." Since the MVNHS© represents a model upon which our glorious new system would be built, such a dire shortage of care should send shivers up and down the spines of women (and those who love them). Early detection is key to successful treatment of theis terrible disease, which kills some 40,000 women here each year. And that's with our current regimen - how many more will die if we go the route of our Cousins Across the Pond? "Around 45,000 women develop breast cancer every single year, and survival rates are lower than in comparable Western European countries - largely because the UK is so bad at spotting signs of cancer early." Jessica Otte presents the last of this year's Grand Rounds. This one reflects on the year just past, and looks forward to new beginnings. All of the rhetoric about health insurance reform seems to eventually come down to an argument about . . . PROFIT. I seriously doubt those who say a profit motive is what is driving up the cost of health care, and health insurance premiums, have any real understanding of the economics of profit. If they have a college degree at all it is most likely in liberal arts. To them, profit is a four letter word, but if they have a job, or run a business, then they owe their livelihood to someone making a profit. But let's clear the air on one thing. Even not for profit organizations make profits. Rather than paying out those profits to stockholders they reinvest those profits directly in the business. Churches, hospitals, schools, charities that fall under the umbrella of not for profit status all have a goal of bringing in more income than they pay out in expenses. If they fail to accomplish this they eventually close their doors. A fellow I know is constantly railing against the current health insurance system because he can't afford health insurance for his wife. She has a minor heart condition that, if not for the medication, she could easily find coverage. Since her doctor chose to write a prescription as a "precaution" finding coverage is almost impossible. I did find a plan in the $350/month range but he could not afford it so she has nothing. He constantly blames the "for profit" big insurance companies when in fact there is no one to blame but himself. If she were to go off the medication (subject to doctors approval) for 12 months there would be more plans available and at lower premiums. But it is easier to complain and blame the system. He provided me with a link to "prove" his argument against for profit health insurance companies. Supporters envision the public option as a nonprofit insurance company that would offer lower-cost health coverage. If that sounds vaguely familiar, there's a good reason: For decades, most Americans got health benefits through just such a company. It enrolled everyone who applied, something it considered part of its social mission. It used what's called "community rating" to set reasonable rates for all. And it offered the same standard benefit package across the country. For those not familiar with this concept and the company, the article describes the original Blue Cross model. All of the original Blue plans were not for profit organizations that did indeed charge the same rate for everyone in the "community" regardless of age or health. You were a member, not a policyholder. The plan operated much like a co-op. According to the article, things changed as evil, for profit insurance companies came in to the picture. When commercial insurance companies got into the market after World War II, they used a different system based on actuarial tables, like life and casualty insurance. They tried to identify who was most likely to get sick and charged them higher rates. While nonprofit Blues made money by enrolling more people, for-profit companies found they could make more by excluding people who were more likely to become sick. That left someone else - relatives, hospitals and eventually the federal Medicaid program - to cover the sick and the poor. Market segmentation eventually spelled trouble for Blue Cross. Unless it also segmented markets and excluded the sick, it couldn't match prices charged by other insurance companies. For profit insurance companies were able to deliver a better value by charging rates based on risk vs. a one-size-fits-all approach and this is considered . . . bad. Community rating of individual health insurance policies still exists by mandate in states like NY, ME & VT. Each of those states have only a handful of health insurance companies offering individual major medical and the premiums are astronomical. It really begs the question, why is Congress hellbent on moving the entire country toward a business model of higher premiums when we have real world examples of how one-price-for-all doesn't work? And if profits are so bad, why is that for profit health insurance companies are able to deliver a better product at a lower price than their not for profit counterparts? Mike at Gather Little by Little presents 2009's final Carnival of Personal Finance. As usual, it's a fun way to see what's out there on the finance front. Cornhusker State Senator Ben "Clueless" Nelson is hoping that his fellow citizens are as dense as he is. Continuing to tout a popular (if discredited) meme that mandating health insurance is no different that mandating auto insurance, he demonstrates a depth of ignorance that's hard to understand. After all, one would think that a Senator (of all people) would grasp the difference between a function reserved to the states (Hello, 10th Amendment!) and an unprecedented grab for citizens' rights. "Sen. Ben Nelson (D-Neb.) said Wednesday that Congress is given the constitutional authority to mandate that individuals buy health insurance in "probably the same place” that states get the power to mandate that people purchase auto insurance." There is so much wrong here that it's hard to know where to begin. First, states only mandate auto insurance for those who choose to operate a motor vehicle on public roads. Own a farm? Don't need insurance for that combine (unless, of course, you're taking it to the drive-in on Saturday night). Don't own a car? No insurance required to ride the bus or subway, or take a cab. Or ride a bike, for that matter. That is a far, far different animal than requiring citizens to buy a product simply by being alive. Second, as noted above, states' rights are not the same as the Fed's. Just because a state is legally allowed to do something does not automatically confer that same right on the federal government. The 10th Amendment reserves to the states rights and privileges not set forth in the Constitution. Licensing automobiles, for example, is done at the state level, not the federal. Third, this whole idea that auto insurance and health insurance are the same thing is utterly absurd. Yes, they are both predicated on the principle of "indemnification," but then so are disability and homeowners insurance. But no knowledgeable person conflates those two. If you really want to illustrate auto and health insurance as identical, then why isn't there legislation to outlaw underwriting in for the former as well as the latter? Why should folks with multiple DUI's pay any more than those with nary a speeding ticket? And why should folks who drive late model SUV's pay any more than those happily chugging along in their '76 Gremlins? And, of course, why doesn't auto insurance pay for windshield wipers and a new set of tires? Or oil changes? One reason, of course, is that mandating these kinds of changes would render auto insurance unaffordable. I'm confident that our readers can connect the dots from there (even if erstwhile Sen Nelson, et al, can't). Three years ago, a little boy and his grandmother came to see my Santa at Mayfair Mall in Wisconsin. The child climbed up on his lap, holding a picture of a little girl. "Yes, Santa," he replied. "My sister, Sarah, who is very sick," he said sadly. Santa glanced over at the grandmother who was waiting nearby, and saw her dabbing her eyes with a tissue. "Well, I know it's really too much to ask you, Santa, but ...." the old woman began, shooing her grandson over to one of Santa's elves to collect the little gift which Santa gave all his young visitors. "The girl in the photograph ... my granddaughter ... well, you see ... she has leukemia and isn't expected to make it even through the holidays," she said through tear-filled eyes. "Is there any way, Santa ... any possible way that you could come see Sarah? That's all she's asked for, for Christmas, is to see Santa." Santa blinked and swallowed hard and told the woman to leave information with his elves as to where Sarah was, and he would see what he could do. Santa thought of little else the rest of that afternoon. He knew what he had to do. "What if it were MY child lying in that hospital bed, dying," he thought with a sinking heart, "this is the least I can do." When Santa finished visiting with all the boys and girls that evening, he retrieved from his helper the name of the hospital where Sarah was staying. He asked the assistant location manager how to get to Children's Hospital. "Why?" Rick asked, with a puzzled look on his face. Santa relayed to him the conversation with Sarah's grandmother earlier that day. "C'mon .... I'll take you there," Rick said softly. Santa quietly peeked into the room through the half-closed door and saw little Sarah on the bed. The room was full of what appeared to be her family; there was the Grandmother and the girl's brother he had met earlier that day. A woman whom he guessed was Sarah's mother stood by the bed, gently pushing Sarah's thin hair off her forehead. And another woman who he discovered later was Sarah's aunt, sat in a chair near the bed with a weary, sad look on her face. They were talking quietly, and Santa could sense the warmth and closeness of the family, and their love and concern for Sarah. Taking a deep breath, and forcing a smile on his face, Santa entered the room, bellowing a hearty, "Ho, ho, ho!" "Santa!" shrieked little Sarah weakly, as she tried to escape her bed to run to him, IV tubes intact. Santa rushed to her side and gave her a warm hug. A child the tender age of his own son -- 9 years old -- gazed up at him with wonder and excitement. Her skin was pale and her short tresses bore telltale bald patches from the effects of chemotherapy. But all he saw when he looked at her was a pair of huge, blue eyes. His heart melted, and he had to force himself to choke back tears. Though his eyes were riveted upon Sarah's face, he could hear the gasps and quiet sobbing of the women in the room. As he and Sarah began talking, the family crept quietly to the bedside one by one, squeezing Santa's shoulder or his hand gratefully, whispering "thank you" as they gazed sincerely at him with shining eyes. Santa and Sarah talked and talked, and she told him excitedly all the toys she wanted for Christmas, assuring him she'd been a very good girl that year. As their time together dwindled, Santa felt led in his spirit to pray for Sarah, and asked for permission from the girl's mother. She nodded in agreement and the entire family circled around Sarah's bed, holding hands. Santa looked intensely at Sarah and asked her if she believed in angels. "Oh, yes, Santa ... I do!" she exclaimed. "Well, I'm going to ask that angels watch over you," he said. Laying one hand on the child's head, Santa closed his eyes and prayed. He asked that God touch little Sarah, and heal her body from this disease. He asked that angels minister to her, watch and keep her. And when he finished praying, still with eyes closed, he started singing softly, "Silent Night, Holy Night ... all is calm, all is bright." The family joined in, still holding hands, smiling at Sarah, and crying tears of hope, tears of joy for this moment, as Sarah beamed at them all. When the song ended, Santa sat on the side of the bed again and held Sarah's frail, small hands in his own. "Now, Sarah," he said authoritatively, "you have a job to do, and that is to concentrate on getting well. I want you to have fun playing with your friends this summer, and I expect to see you at my house at Mayfair Mall this time next year!" He knew it was risky proclaiming that, to this little girl who had terminal cancer, but he had to. He had to give her the greatest gift he could -- not dolls or games or toys -- but the gift of HOPE. "Yes, Santa!" Sarah exclaimed, her eyes bright. He leaned down and kissed her on the forehead and left the room. Out in the hall, the minute Santa's eyes met Rick's, a look passed between them and they wept unashamed. Sarah's mother and grandmother slipped out of the room quickly and rushed to Santa's side to thank him. "My only child is the same age as Sarah," he explained quietly. "This is the least I could do." They nodded with understanding and hugged him. One year later, Santa Mark was again back on the set in Milwaukee for his six-week, seasonal job which he so loves to do. Several weeks went by and then one day a child came up to sit on his lap. "Hi, Santa! Remember me?!" "Of course, I do," Santa proclaimed (as he always does), smiling down at her. After all, the secret to being a *good* Santa is to always make each child feel as if they are the only child in the world at that moment. Santa's jaw dropped. Tears immediately sprang in his eyes, and he grabbed this little miracle and held her to his chest. "Sarah!" he exclaimed. He scarcely recognized her, for her hair was long and silky and her cheeks were rosy -- much different from the little girl he had visited just a year before. He looked over and saw Sarah's mother and grandmother in the sidelines smiling and waving and wiping their eyes. That was the best Christmas ever for Santa Claus. He had witnessed -- and been blessed to be instrumental in bringing about -- this miracle of hope. "Thank you, Father. 'Tis a very, merry Christmas!" The story was told by Mark R. Leonard, a professional Santa Claus and written by his wife, Susan Leonard, a.k.a "Mrs. Claus:"
"Consumers must buy policies from their employers or through the exchanges--but, either way, their choice of coverage is limited to one of four basic insurance plans that the government sanctions." "Tell your clients to buy it now. Life insurance will only get more expensive as ObamaCare cost controls kick in." The former means that carriers will need to drastically increase their "reserves" (funds set aside, by law, to fund future expected claims); the latter means that actuaries will have to dramatically reevaluate risk. Both of these will lead to increased premiums for life insurance policies, and, perhaps, fewer choices for those making long-range plans. While Congress wants you to believe you are getting a Christmas present in the form of health insurance reform it is beginning to look more like a lump of coal. The reckless spending and political vote buying (with our money) is one thing, but the Senate bill is beginning to look like a "cram everything you can into this law because we may never have a chance like this again" piece of . . . legislation. Some parts of the bill make no sense whatsoever, including (but not limited to) the part that discusses "Wellness and Prevention Programs" on page 5 under the heading "Protection of Second Amendment Gun Rights"
Will someone tell me how wellness programs are tied to gun rights? The folks at Reuters found this jewel. The CLASS Act will add a long term care insurance benefit to the already gargantuan health insurance reform bill. A new government insurance program that would help the elderly and disabled stay in their homes is headed for passage in the U.S. Senate's sweeping healthcare revamp despite doubts about its viability and cost. The measure has not received the intense scrutiny focused on a proposed government-run medical coverage plan, which has been jettisoned from the the Senate's healthcare bill and is unlikely to be restored in final legislation. But the Community Living Assistance Services and Supports (CLASS) Act, which was championed by the late Senator Edward Kennedy, is a significant program that supporters say is long overdue and critics say could add to the federal treasury's long-term debt problems. As with anything else coming out of Washington, it always sounds much better than it really is. We never did find those WMD's, did we? "The Feds can't even handle a simple flu vaccine distribution, but they can administer a new long term care plan? They have the experience and expertise to adjudicate claims? What happens when (not if) they're wrong? Will they raise those "modest rates?" Cut back on that "generous" $50 a day benefit? Or simply deny claims, as they do now with Medicare?" If you own a small business, you've probably purchased coverage for your office equipment, maybe a truck or three, and of course your business liability insurance. But have you considered what would happen if you were to become disabled for any length of time? Hopefully, you've already purchased disability income insurance on yourself (and, perhaps, some key people), which will help keep food on your family's dinner table. But what about keeping your company's doors open? One of the most often overlooked types of coverage is Business Overhead insurance (BOi). This valuable coverage can help pay for everyday, on-going expenses like the phone and electric, rent, even some salaries. Unlike "regular" disability insurance, these plans are written for a short time horizon; they typically pay out for only one or two years. That's because they're designed to help keep the business afloat if one recovers quickly, or to buy one time to sell the business if not. Also unlike personal disability policies, the premiums for these plans are generally tax deductible business expenses, which helps lower their net cost. And since they're written with relatively short benefit periods, the gross premiums aren't too hateful, either. That's very interesting and helpful, Henry, but where do I go to buy BOi? As with any type of disability (or life, or health) plan, your best bet is your local professional, independent agent. He (or she) will know which carriers have the right plan (or plans) for your type of business model, and can help coordinate your various other coverages with it. Nancy Brown hosts this festive round-up of medblog posts, celebrating holidays from Christmas to Eggnog Day. Think of it as holiday treats for your mind. As we've frequently stated here at IB, health care costs drive health insurance costs; and we've chronicled various examples of how this plays out in the real world. Sometimes, the lessons are readily observable, but sometimes, the conclusions aren't so obvious. Case in point: Fosomax and Osteoporosis/penia. Does increasing consumers' awareness of a potential problem lead to unreasonably expensive, and perhaps unnecessary, treatment? Does Big Pharma wear a white hat or a black one? Is there necessarily a conflict between ethics and profit motive? NPR has a fascinating look at how a well-known, and frequently prescribed, medication came to be ubiquitous, and offers insights into how DTC (direct to consumer) advertising can run up demand. It's a little disturbing but, I think, not entirely unfair to either side of the debate (such as it is). I'd be very interested in our readers' take on this. FoIB and gifted tax-blogger Joe Kristan reports on a timely idea for your last minute shopping list. How much? For a WHAT?? "What we’re building here is not a mansion – it’s a starter home." Who else but one of Reid’s Racketeers (or one of Pelosi’s Plunderers) could POSSIBLY look at a $900 BILLION house and call it a starter home? Mighty Bargain Hunter hosts this week's collection of finance-related posts. Do check it out. OK, we’ve seen this kind of thing before. Believe it or not, the DENIAL problem is worse than you think. It occurred to me today whilst buying gas, that when I pre-pay my $30 the pump always shuts off at exactly $30 – even if my tank isn’t full yet! I’m telling you, this is how gas stations in Connecticut and all over America ROUTINELY DENY gas to motorists! What’s worse, we are DENIED gas WHEN WE NEED IT MOST! This widespread DENIAL of gas shows that the country must have a public gasoline option. This means GOVERNMENT-SUBSIDIZED gas stations where everyone is always GUARANTEED a FULL TANK for a FIXED PRICE. The public-option gas stations will give the oil companies some COMPETITION - for a change. Oh, I know, some crackpots will claim competition from a public option will be unfair and will drive the private gas stations and oil companies out of business. But they're just crackpots. Besides, who needs the gasoline companies, anyway? Don't believe those crackpots. Let your Congressional representative and your Senators know that you DEMAND a PUBLIC GASOLINE OPTION. This is awkward. On the one hand, as a "family friendly" site, we attempt to keep things as clean as possible. Certainly, we don't allow obscenities in our comments, nor do we avail ourselves of them in our posts. And when we do "push the envelope," it's done with a sense of humor and decorum. "Christian Scientists are lobbying lawmakers to include a provision that would ban discrimination against "religious and spiritual" health care and encourage private insurers to cover prayer as medical treatment." This leads of course, directly to another Constitutional problem: the First Amendment. Certain folks are quite invested in the concept of "separation of church and state," so would likely take issue with paying for such treatments. But those who practice faith-based health care deserve their rights, as well. Of course, the Christian Scientists lack the resources and troops lined up on both sides of the public-funding-for-abortion debate; still, are their voices no less important? Lost amid the ruckus that is health care "reform" is news is that the House has passed an extension for the so-called COBRA subsidy, from the original 9 months to 15. In typical, unfathomable congresscritter fashion, this change was actually part of the Defense Appropriations bill. The measure now goes to the upper chamber, where one presumes it will pass (seeing as how our troops, if not the funemployed, are counting on it), and then on to the president for signing. Some features of the extension include eligibility for folks who exhausted their original 9 months of the subsidy, as well as expanding eligibility to those whose involuntary employment terminations take place on (or before) February 28th of next year. Nationwide Insurance has joined the ranks of carriers embracing smartphone tech. Specifically, they've developed a new iPhone app to help folks out car-shopping (and there are, apparently, a few doing just that). According to an email we received, the carrier has rolled out "Cartopia, a free new app for iPhone that will make shopping for a car easier." It includes "a wide variety of 3rd party info about cars they are considering - right there on the dealer's lot." One of the features looks like "CarFax" (and maybe it is), because it allows a potential customer to find out if that shiny little convertible rode out Katrina in downtown NoLo. Perhaps best of all, the app is free (and available here). Currently, it's for the iPhone (and iTouch); BlackBerry and Treo users should probably the Ohio-based insurance behemoth a note requesting that it be ported to these devices, as well. One of the problems with online quoting services like local, professional agent, one deals with a faceless, unaccountable person (whom one presumes is at least licensed in the state in which one resides) who answers questions from a script, and is ill-prepared to deal with folks who present unique or challenging problems. Nevertheless, a lot of folks mistakenly believe that buying health insurance is really no different than buying a new computer monitor, book or slippers. So they fire up their PC's (or Macs), and head out onto the information superhighway looking for "a deal." Never mind that they are just as likely to get stuck as strike gold, and that they're unlikely (to put it charitably) to ever speak again with that anonymous agent at the other end of the intertubes. So, Henry, why the diatribe? Well, we recently received email from an outfit called "GoHealth," which had spent (one presumes) a pretty penny on a study which purported to show how consumers' health insurance choices were influencing, and influenced by, e-shopping for health insurance. The report (available here), is very pretty, and equally vacuous. As Bob responded when I asked for his opinion, "What are they smoking?" Mike was a bit more ascerbic: "It's not a glaring problem. It's a blessed solution. High deductible HSA plans begone! Hello, low premium, low deductible plans!" The problem, of course, is that by focusing almost entirely on cost, rather than value, the conclusions are, well, absurd. And the fact that there are several logical inconsistencies does nothing to vindicate them. Take, for example, the non-sequitor on the very first page: "In this current employer-based model, consumers do not actively participate in the research or shopping process ... That’s why millions who are now looking for health insurance turn to the Internet." Hunh? If one obtains coverage through one's work, and it's subsidized by one's employer [ed: yes, we know that's not really the case, but that's another post], then by definition one is not out shopping for coverage. And if one is out shopping, it means that, for some reason, that relationship has ended. And we're told that "[t]ypically, the employee is limited to a choice between a PPO and an HMO." Um, no. As we've pointed out, employers are looking more and more at consumer-centric health plans, such as HSA's and HRA's. At the bottom of that first page, we're told that this report "reveals a surprising new trend." One breathlessly awaits the details of that surprise, but to no avail. The only thing surprising in the mix of pretty pictures and meaningless jargon is that someone apparently paid good money to have this report published. The report ostensibly details the buying process, but there's very little reality to be found therein. For example: "Consumers considered to be in the “purchase” stage include policyholders who fully submit an application and are accepted into coverage." While that would be nice, there’s this process called ‘underwriting,’ which can create speed bumps along the way to that new policy. So one is left wondering about those who aren’t just “accepted into coverage,” but are offered a modified plan or premium, or perhaps declined. A knowledgeable, professional agent knows which carriers are more likely to accept a given risk, and which ones are more likely to offer favorable terms. Since this would be "off-script" for e-agents, it's no wonder that this important issue is completely sublimated. In an effort to glom onto the current debate, the study hijacks the term "Insurance Exchange." One is tempted to admonish these folks to be careful what they wish for: under ObamaCare, they would be toast, as well. Still, it offers an interesting insight into the mindset of those behind this report: they're so impressed with themselves for cleverly turning that phrase that they fail to understand its significance. Since I don't want to be accused of running up the score, I'll conclude with one last bit of fisking: this obsession with prices and how much less the consumer ends up spending than at the outset of the transaction. This way lies madness: as any experienced agent can tell you, you get what you pay for. Saving a few dollars in premium, but ultimately paying more than necessary for the coverage one really needs is no bargain. That local professional will help you understand why keeping the co-pay plan and raising its underlying deductible to save a few bucks is likely to end up costing you more than simply buying an HSA-compliant high deductible plan in the first place. Bob explains this more succinctly: "Focusing on cost leads to poor plan choice by consumers. Carriers aren't dumb; every one of them have products that have been gutted to look good (from a price standpoint) on a spreadsheet. These so-called "best buys" are full of holes that can bankrupt you if something major happens." His point is neatly summed up thusly: "there is nothing wrong with those plans as long as you don't get sick." But, of course, that wouldn't be in the script. Obamacare, Pelosicare, whatever you want to call it seems dead this year. It never made much sense, at least not the way Congress was approaching it. There was no true health CARE reform, but rather insurance reform. Some would argue that CHANGE is needed, and no doubt the current system is not perfect, but the change that was proposed was ill-conceived. Here is a summary of what would have happened if reform, as envisioned by Washington, had become reality. Reform was directed solely at the constantly debated figure of 47 million who are without health insurance. Not health care, but health insurance. At least one flaw in the number is the estimated 10 - 18 million counted in that figure that are in the United States illegally. For chuckles and grins, let's just round it off to 35 million without health insurance. The projected annual cost varies, depending on which version of the bill you want to use and whose numbers you want to believe, but the range was $80 billion to $130 billion. To keep it simple, let's split the difference and use $100 billion. That's about $2800 per year per uninsured man, woman and child. That doesn't seem like much when you break it down like that and with good reason. It is woefully underestimated, especially when one adds in the NEW benefits mandated by health "care" reform including prohibiting health insurance companies from medically underwriting new applicants. Even if you want to accept their fantasy figure, where would the money come from to fund this . . . change? Eliminating fraud and abuse in Medicare and Medicaid. No one ever answered why we need a new $100 billion entitlement program to eliminate fraud and abuse in existing entitlement programs. Taxes. New ones. It was a constantly moving target but some of the ideas tossed out included taxes on tobacco, alcohol (the drinking kind), snack foods, taxes on individuals who do not buy health insurance, taxes on those who have too much insurance, taxes on business owners that do not provide health insurance for their employees. The list was constantly changing. Personally, I am glad this "change" appears to be dead. Many, including me, asked why we should allow the government to take take over and manage health care (by way of controlling health insurance) for 100% of the population when they can't even manage the programs they already have for 30% of the population. It seems obvious to me that more pressing issues would be things like reducing taxes, not increasing them, to stimulate the economy. Put more money in the hands of American's who actually drive the economy and create jobs rather than spending money we don't have on bailouts and pretend job creation programs through failed stimulus plans and cash for clunkers. So while some will bemoan the death of health care reform, my guess is the 11 million plus that are unemployed would rather have a job than a new entitlement program. Just imagine, if the billions spent on bailing out banks, insurance companies and auto companies had been redirected to the citizens in the form of tax cuts, how many would now be back at work or better yet, would never have lost their job (and home) from the start? As we noted earlier this week, there's an email floating around purporting to show how much better our system is than, say the MVNHS© or that of our Neighbors to the North. It references an Investor's Business Daily report, but doesn't include a link, or even a date. Since we pride ourselves on doing everything we can to vet such information, I spent time at the IBD site trying to find the source. Coming up empty, I dropped them an email, to which IBD's Kerry Jackson kindly (and promptly!) responded. The information in the email is apparently distilled from a May, 2009 IBD article which itself is based on information from Rep Mark Kirk (R-IL), which his office compiled from a variety of valid sources. ■ "In the U.S., only 26 percent of sick adults waited more than four weeks to see a specialist. In Canada and the UK, more than twice as many citizens wait longer than a month to receive the care they need." ■ "In America, doctors use 27 MRI machines per million people. In Canada and Britain, it is less than a fifth of that at approximately five MRI machines per million people." ■ "American women’s survival rate is 61 percent, compared to 58 percent in Canada. American men’s survival rate is 57 percent, and 53 percent in Canada." Why would we purposefully jettison the clearly superior level of health care available to our citizens? "In the US where the absence of insurance is usually cited as evidence of the absence of medical care, waiting times are actually less, and for a greater fraction of the people, than in Canada. And in Canada a greater fraction of the people have longer waiting times than in the US. And yet, supposedly, Canadians all have insurance. So perhaps insurance is not the bogie that popular opinion holds it to be - and that the US Congress cannot seem to see past." This week's Cavalcade of Risk is now up and running at My Wealth Builder. Take a risk and stop by. Hosted by Barbara Olson, this week's roundup of medblog posts is woven into the classic children's story. Enjoy! The Susan Koman Foundation is considered one of the premier advocates for breast cancer research. Unfortunately, it's also in danger of becoming known for its political and anti-semitism problems, as well. Recently, the organization sponsored a breast cancer awareness program in Egypt; unfortunately, Israeli survivors and researchers were specifically excluded. While the blame for this is primarily the Egyptian government's, it seems to me that the Foundation, as a matter of principle, should have cancelled the event. One of its most visible, and effective, spokespeople is Hadassah Lieberman; Mrs Lieberman's husband has gone on record as being opposed to Doc Reid's version of ObamaCare, and so those who advocate the destruction of our current health care system feel it's appropriate to lash out at the senator's better half. Having heard her speak, I have no doubt that she can fend for herself, but will the Komen Foundation toss her under the bus? One hopes that the Foundation will eschew the rabid demands of a small group of "activists;" if not, it seems to me that there are other, less prejudiced, cancer researchers worthy of our support. After all, nationalized systems are no friends of cancer patients. "The Progressive Blogs, a feared and highly organized hegemonic force, are very upset with Hadassah Lieberman for continuing to raise money for breast cancer research despite being married to her husband, Joe Lieberman..."
Well, actually you can make it up: that's the tongue-in-cheek analysis of Wonkette's Juli Weiner; she goes on to report that, in all seriousness, noted WhackBlogger Jane Hamsher is demanding that "Ellen DeGeneres, Christie Brinkley and other high-profile celebrities who are associated with Komen to demand that no more money raised for cancer treatment be given to Hadassah Lieberman or any other ex-Pharma/Insurance strategists." Right, because heaven forfend that women at risk for breast cancer should benefit from any of that tainted blood, er, um, Big Pharma research money. There's an email making the rounds which purports to cite statistics in a recent Investor's Business Daily article. If these are accurate, they paint a devastating picture of nationalized health care schemes; thus far, however, I've been unable to confirm their provenance. I've tried searching the IBD site, to no avail. We'd be most grateful if any of our readers could provide a link to the source (not just another blog or forum posting). UPDATE: We’ve found a source/cite, and have written a post on this subject. Thanks to our readers for their help! Although we comprise several different denominations, Jews tend to fall into two distinct physical/cultural branches: Ashkenazic and Sephardic. The former refers to those of us of eastern European descent, the latter Mediterranean. A good friend has loaned me his copy of the latest Bon Apetit, which includes Mexican Chanukah foodways, which fall under the Sephardic rubric. 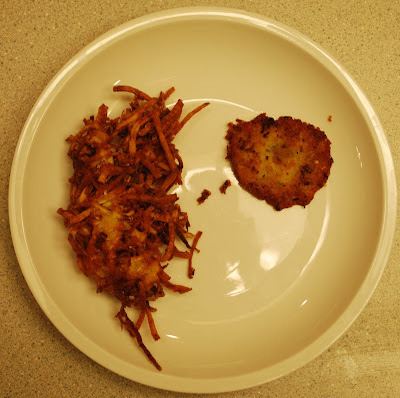 For many years, I've prepared "latkes" - potato pancakes - according to Ashkenazic tradition: grating potatoes and onions together, adding in some egg, flour and salt, mixing well and frying. I have my own little "secret twist" which yields surprisingly crunchy exteriors with creamy interiors. But they're still a variation of the Ashkenazic tradition. My usual latkes are about 3 or 4 inches in diameter and about a half inch thick; these are more like "latke bites," but the cilantro really shines through. And the watercress adds a little "bite" that really cuts through the potentially greasy little fritters. That's Hebrew for Happy Chanukah, the Jewish Festival of Lights. This festive, weeklong celebration of freedom over tyranny begins this evening when we light the first candle in our special menorah (technically, it's a chanukiah, or Chanukah candelabra). Although it's actually considered somewhat of a minor festival, Chanukah's proximity to Christmas has helped it make "the big time," complete with gifts, cards and public events. Personally, I think it's a wonderful opportunity to acknowledge the powerful help of a much greater authority, who helped inspire and guide us through a time of great adversity. May your Chanukah be filled with the warmth and love of family, and the joy of good health. We generally don't update our "Blogs of Interest" very often; when we do add a new link, it's because we see a great "fit." 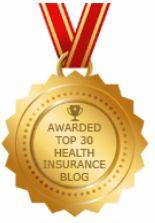 InsWeb is another insurance-related blog with great content, frequently updated and well-written, and we're pleased to add them to our 'Roll. "MEN now have another excuse to go down the pub thanks to new research suggesting that a compound in beer may prevent prostate cancer." Now that is good news. Turns out that xanthohumol, a compound present in that bubbly quaff, acts much the same as drugs that are commonly used to treat prostate cancer. Seems like an easy choice: chemo or Guiness? Workers Comp Insider's Julie Feruson presents this week's round-up of health care policy and polity. Like sausages, Julie's HWR demonstrates why it may be best not to ask for too many details. Seriously, it's a great way to see what's interesting and of interest in the wonky side of the blogosphere. Earlier this year, Bob introduced us to "Fannie Med" insurance; that is "parallels between the mortgage meltdown and health care reform." It was an apt comparison then, and is even more so now; as Ace o'Spades co-blogger Gabriel Malor points out, this morning's news that Doc Reid's idea to scuttle the so-called "Public Option" is really just a ruse to morph it more quickly into a single-payer scheme. He makes the point that the "massive expansion" of Medicare and Medicaid eligibility is, in fact, the much vaunted (by some) "Medicare Part E" (where "E' means "everyone"). The goal is to end up with a system that, while appearing to be based on private enterprise, is in reality well under government's command and control. One of his fellow co-bloggers then asks if we know of "any other "tightly regulated nation-wide nonprofits which are technically private-owned, but akin to publicly-regulated utilities?" And, of course, he supplies the answer: Fannie Mae and Freddie Mac. What's so fascinating about this is that it's such a transparent attempt to hijack 1/6 of the economy, putting it under government control. Given that Social Security, another government program to help us take care of ourselves, has just marked half a year in the red, what possible evidence could there be that a national health care scheme would fare any better? The reality, based on actual experience, is that Mae and Mac, Social Security and Medicare offer ample proof that the government is not the answer; it is, in fact, the biggest part of the problem. "Companies with 50 or more employees would have to set aside “reasonable” break times for nursing mothers and create a private space for breastfeeding." While this may sound reasonable, why isn't it simply left to employers to offer on their own? Will mom's be nursing "on the clock" or not? And if they get extra breaks, what about other folks who could use a few additional moments of respite? Talk about a nanny state. "Nurse midwives would be paid the same as doctors for their services under Medicare." Why?! Do they have the same training? Are they required to carry malpractice insurance? What's the criteria for calling oneself a "midwife" as opposed to "doctor?" Not to mention increasing Medicare's already bloated shortfalls. "Restaurants with more than 20 locations would be required to post nutritional information." Um, yeah, we all hit Mickey D's for the health benefits. Again, what does it have to do with health care reform? Um, Thomas, why would we take you seriously given the circumstances? Perhaps we should add a Bill Engvall provision for these folks. That would be as relevant to health care "reform" as any of these little gems. Jeffrey Seguritan, proprietor of the Nuts for Healthcare blog, presents a Broadway-themed collection of great medblog posts. I was particularly pleased to see that we comprise the entire category of The Producers, the original of which is one of my three favorite movies. Health care reform is supposed to guarantee health insurance to roughly 36 million Americans over the next 10 years at a cost of $1 trillion or more. In simple terms, that is $100 billion per year for 10 years. That averages out to just under $2800 per individual per year . . . IF you believe their numbers. So how does Professor Obama score on his math abilities so far? According to Reuters, the Obama administration has spent (or invested, depending on your perspective) $158 billion to create or save 640,329 jobs. Ignore for the moment that not all of those were real jobs created or saved. Some were only temporary jobs that lasted a few weeks. Some were not jobs at all but rather the money was spent to give raises to people who already had jobs. And it was recently reported that Columbus schools spent $145,000 to rent banquet halls and conference rooms in "high end" hotels to train existing teachers on how to teach. This in spite of the fact they own 120 buildings that are designed for . . . teaching. They are also spending $1.4 million to pay speakers for this 3 day session. But back to the jobs created or saved. That's $246,000 per job created or saved. Total compensation earned by the average payroll employee during October, on an annualized basis, was $59,867. If the government had simply used the funds awarded so far to pay for a year’s worth of labor, that would have paid for 2.6mn jobs! So much for government efficiency. Will someone please tell me how a government that spends that much money to save or create so few jobs will suddenly become an efficient machine at delivering quality health care for all at a lower cost than what we have now? History to Sen Reid: "Um, no." Apparently, Sen Reid failed 7th grade history, else he would have known that Abraham Lincoln was himself a Republican, that it was the Republican party which first pushed for women's suffrage, and it was the GOP which advocated civil rights legislation, despite heavy Democrat opposition. No gold star for you, Harry. "... the bill may exacerbate the difficulty some Americans already have in finding a doctor ... Even without an insurance expansion, the American Medical Association estimates the country will be short 85,000 doctors in primary care, cardiology, oncology and general surgery by 2020." When the demand for services (i.e. tens of millions of newly insured folks, using primarily someone else's money) increases, if the supply (health care providers) doesn't match, then you're going to have shortages. Pretty simple economics. Wonder if anyone in DC ever studied that? "The eligibility age for state-subsidized breast cancer screening has been raised from 40 to 50 by the California Health and Human Services Agency, which will also temporarily stop enrollment in the breast cancer screening program." That's a pretty large swath of females that just got thrown under the health care bus. As we've noted before, while insurers can't arbitrarily decide whether or not to pay for certain procedures (and face sanctions, arbitration or lawsuits if they try), the gummint has the ultimate decision-making power: if they decide you're not going to get needed care, then you're not going to get needed care. "An elderly woman with a cane and a heart condition was told to bring her husband into a Nova Scotia hospital on her own or call 911 after he suffered a heart attack 10 metres [32 feet] from the facility's front door"
Not only did the hospital turn her away, they told her that they'd only treat hubby if he arrived by ambulance, for which she'd be charged. But of course, Canadian health care is free, right? In fairness, my experience with American hospitals is that those arriving by ambulance are almost always bumped ahead of those who arrive by private transport; still, requiring such seems a bit Big Brotherish. Just another example of what we may be in for. One of the ways its proponents plan to fund ObamaCare is by making severe cuts to Medicare [cf: Paying Paul]. The thinking is that, by throwing Grandma (and, of course, Grandpa) under the bus, "we" can better afford to pay for health care for, well, the grandkids. One Grandpa who objects to this transfer is Sen John McCain (R-Maverick), who has proposed an amendment that would "stave off Medicare cuts and approved safeguards for coverage of mammograms and other preventive tests for women." The amendment was defeated along an almost party-line vote, with two (presumably elderly) Democrats voting with The Mav. What's ironic is that another long-serving senator recently characterized any cuts to Medicare as "immoral." That would be Doc Harry Reid (D-BS). What a difference 4 years and an election or two makes. "Bertha G. Milliard greeted the nurse who had come to check her condition and review the medications she takes for chronic pain, heart failure, stroke and dementia ... Ms. Milliard, 94, said those visits had been highly effective in keeping her out of the hospital. But the home care she receives could be altered under legislation passed by the House and pending on the Senate floor as Congress returned to work this week." Turns out, home health care (which is one of the most cost efficient forms of care delivery) takes a "disproportionate" hit under ObamaCare. And since seniors are more likely than younger folks to actually receive care in this manner, it's going to hit them "disproportionately," as well. Poor Grandma: thrown under the bus, and no home health aide to nurse her back to health. We've long advocated increased consumer involvement in health care. When folks have "skin in the game," they tend to be more careful and discerning shoppers, which in turn can help drive down costs. A vital part of this "consumer empowerment," though, is the availability of certain tools. And one of the most important, and effective, tools is the internet. Over the past few years, we've seen various players in the health care game make increased use of the 'net, often to great effect. 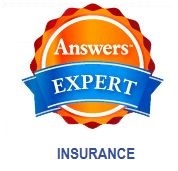 For example, a lot of (perhaps most) insurance carriers have numerous features on their websites for their insureds to track claims, check availability of providers, get cost estimates, that kind of thing. But how does one measure the effectiveness of these tools? But what does this graph really mean? To find out, we recently interviewed the president and CEO of FSR, Larry Freed. Mr Freed was kind enough to share with us the results of the survey, as well as some intriguing insights about it. 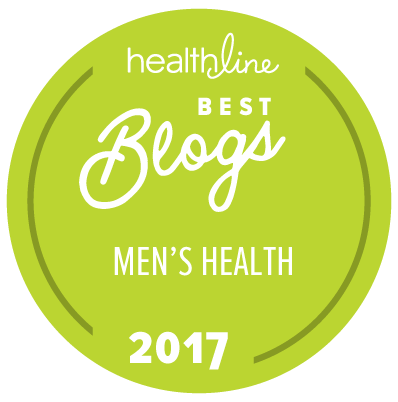 InsureBlog: Thanks for speaking with us, and for sharing your findings with our readers. What's the point of the ACSI? Larry Freed: It's a measure of how satisfied customers, users, are of different companies' websites. We look at 700 to 800 different sites across the specturm, from retail sales to government agencies, and then look to see how they compare with others in their sector. IB: Okay, so what does "customer satisfaction" really mean in this context? LF: It's about how the customer perceives the company's technology: is it helpful, easy to navigate, is there adequate help available? We believe that a happy customer is a loyal customer, and this helps our clients determine how well they're doing in that regard. IB: What do the scores in the chart mean? LF: Well, we consider an 80 to be a very strong (good) score. As an industry, health care averaged 75, which is very good. But that's an aggregate, and you can see that different segments have different scores. IB: I see that. I notice, too, that the "worst" aggregate position is taken by health insurers; in fact, there's a pretty big gap between that carriers and - most surprising to me - government sites. LF: That is interesting; in fact, and I can't tell you the names of the carriers involved, but within that cohort the scores ranged from a high of 86 to a low of 42. By way of comparison, Google and Amazon both scored 86 in their categories, so you can get a sense of what those scores can mean. IB: So (at least) one carrier scored very high, which is good. I'm still somewhat confused, though: my experience with government sites is that they're often very difficult to navigate, heavily cluttered, just not all that use-friendly. It just seems counter-intuitive that they'd score so much higher than carriers. We're certainly no shills for the companies [ed: I mentioned our "Stupid Carrier Tricks" series], but at least in this regard, I've been fairly impressed with their sites. LF: Well, ease of use, navigability, that kind of thing is important, but it's not the only measurement. There's also what we call the "trust factor" that plays a big part; how much credibility do you give the site, what are your expectations. Often, customers look at, say, the CDC site as very credible, which more than offsets whatever problems that might have with the mechanics of the site itself. It's really a perception and expectation issue: if the customer goes to a site where their expectations aren't that great, the bar is pretty low so it's easy to jump. Contrasted with another site that may have a great reputation, one's expectations are higher. LF: Exactly. You're expecting great service at one, maybe you're pleasantly surprised by the service at the other. IB: So what does this bode for the carriers? What do they have to do to close that gap? And is it important that they try? LF: I think it's very important. They're sort of at a crossroads, there's health care reform legislation that's going to directly affect them, they need to be trying to improve their credibility and the value of their online presence. I'm actually a big fan of the "42" company; they really have nowhere to go but up, and every incentive to make that happen. And these kinds of surveys are helpful in that effort. We believe very strongly that "you cannot change what you do not measure." If you don't know where you are, how do you where to go? IB: Thanks so much for your time, Larry, and for sharing your insights. Readers who'd like to know more about ForeSee Results should click over to their site; please feel free to leave your own thoughts and questions in the comments, and I'll forward them on. Call it Macaroni? Er, No, It's Still a Feather. "CBO and JCT estimate that the average premium per person covered (including dependents) for new nongroup policies would be about 10 percent to 13 percent higher in 2016 than the average premium for nongroup coverage in that same year under current law." Got it. That outcome is financially WORSE than doing nothing. And who are the people who buy “nongroup policies”? They’re individuals. A great many of these individuals are uninsured. The uninsured are the very people who need the most help. But the Senate Bill will increase the premiums that the uninsured would have to pay to get medical insurance they already can't afford. Does this make sense? I think even more important, the effect of the Senate Bill on medical insurance premiums tells us that the cost of medical care would also be greater under the proposed law, than under current law. That’s because the cost of insurance is driven by the cost of medical care. In other words, the Senate bill does bend the cost curve. It bends the curve UPWARD. "About half of those enrollees would receive government subsidies that would reduce their costs well below the premiums that would be charged for such policies under current law." Sure - - after the subsidy. So you tell me. Will it cost taxpayers more to subsidize the more-expensive medical care caused by bending the curve upward ? Or will it cost taxpayers more to subsidize the less-expensive medical care we have now? C’mon, it’s an easy question. I’m not saying we should be satisfied with what we’ve got. What we’ve got is far too expensive and it’s far too inefficient. The current “system” not only drives people nuts, it drives doctors nuts and payers such as the government, small employers, and large employers nuts, too. We need to change it. But the Senate Bill will give us no better than we have now, at higher cost. The Senate leadership wants to stick a feather in its cap, and call it macaroni. But CBO says not so fast. Thanks to CBO, the information before the public is now clear and settled fact. It is wrong to assert that the Senate Bill will save money, or will be “budget neutral”. It will instead cost much more than doing nothing, and will not accomplish the very things we understand are most important. By the way, remember when candidate Obama promised a health care plan that would save every American family $2,500 a year? I’d like to know, where the heck is THAT plan?